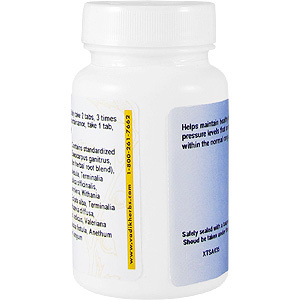 This herbal formula is very effective in regulating the body's blood pressure, and at the same time giving better circulation to all parts of the body. 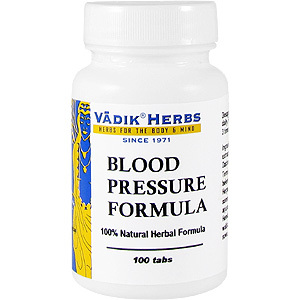 This herbal food formula aids in lowering the blood pressure when it is too high, and strengthens the blood pressure when it is too low. 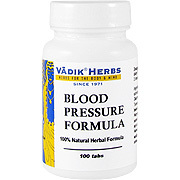 Also, Pressure Control has a beneficial effect on reducing cholesterol in the blood. This formula also helps to stabilize the blood pressure and brings the diastolic and systolic pressures to safe normal levels. * Should be taken under the guidance of a physician. Contains standardized extracts of: Rudraksha (elaeocarpus ganitrus), Dashmoola (ten herbal root blend), Haritaki (terminalia chebula), Bibitaki (terminalia belerica), Amalaki (emblica officinalis), Brahmi (herpestis monniera), Ashwagandha (withania somnifera), Bringraj (eclipta alba), Arjun (terminalia arjuna), Purnarnava (boerhaavia diffusa), Anantmul (hemidesmus indicus), Tagar (valeriana wallichii), Indian laburnum (cassia fistula), Indian Dill (anethum sowa), Pipli (piper longum). Pressure Control is shipped in a discrete, unmarked package. Orders are processed immediately and usually take about 3 to 5 working days to be received. Any information received is used only for order processing and shipping purposes. Your information, such as e-mail address, will never be disclosed to a third party.